Long time no see! I apologize for going off the grid for so long! I'm back with a review of Bite Beauty's newest products from their Amuse Bouche line! 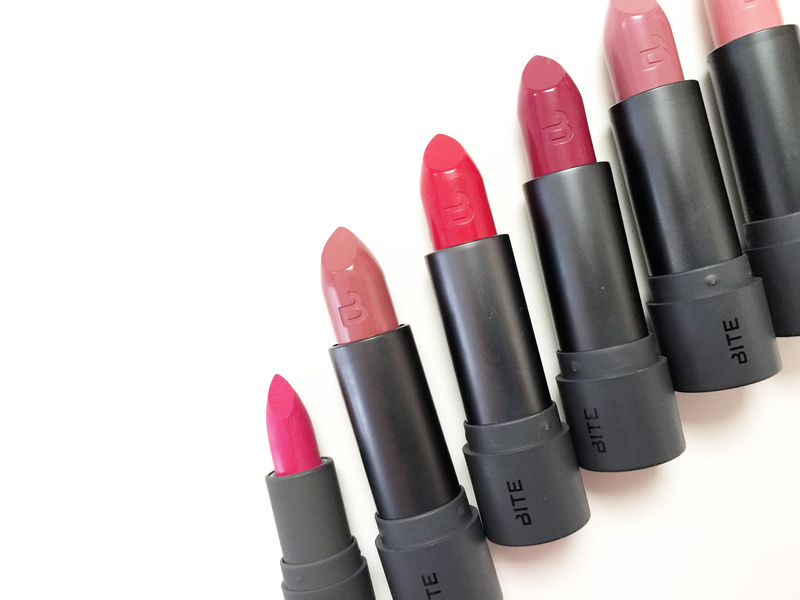 Bite Beauty's Amuse Bouche line is a collection of 34 lipsticks that range in color from pale pinks to deep dark purples. They are 0.15 oz and sell for $26/C$30. 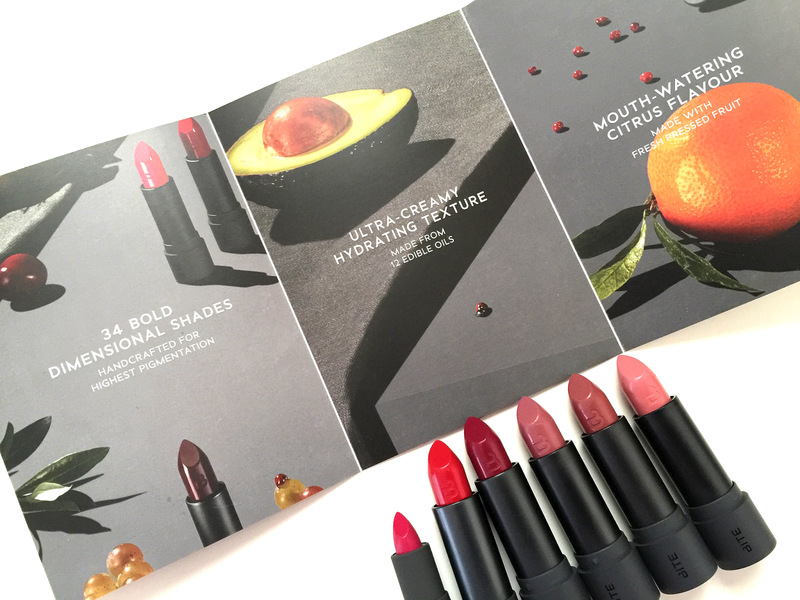 Per Sephora's website, Bite Beauty describes them as "a collection of high-impact lipsticks in dimensional shades that have been handcrafted to deliver extreme moisture, soft texture, and creamy wear." They are a "low-heat process" that preserves "a balanced blend of lip-quenching nutrients, vitamins, and omega oils that are essential for achieving healthy-looking lips" and "made with 12 edible oils and triple milled pigments" that provides "saturated lip color with weightless coverage and a citrus flavor made from fresh pressed fruit." They are made without parabens, sulfates, and phthalates. They do no contain petrochemicals and are certified gluten-free. 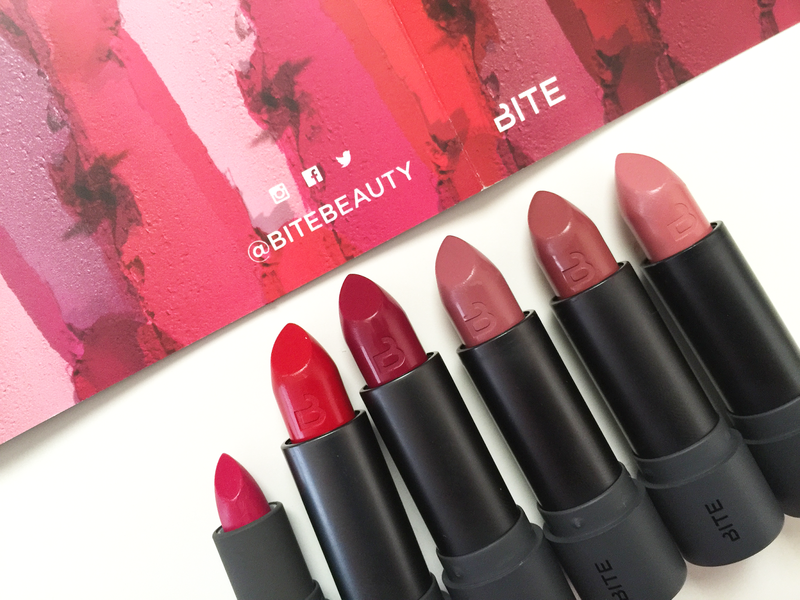 If you've never heard of Bite Beauty, they are a cruelty-free makeup brand that operates out of Toronto, Canada, and prizes themselves on their lip products that are made with "natural and food-grade ingredients." The lip colors I have are Sugarcane ("pale pink"), Sake ("dusty mauve"), Beetroot* ("bold berry"), Pepper* ("dusty rose"), Gazpacho* ("blue red"), and Radish ("deep magenta"). I would describe them as a satin and opaque. I would advise prepping the lips well before wearing them. Negativity: Sugarcane was not the most hydrating. I also found that they did not perform very well after eating (but that's not a real big issue for me, personally). 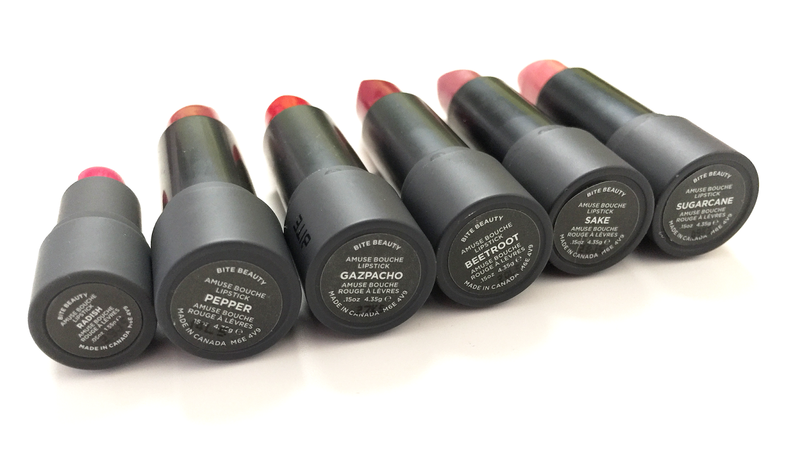 All in all, I think that these lipsticks are definitely worth a try! After being sent three of them, I went out and bought two because I loved them so much (the mini one was a point perk from Sephora!). I would recommend getting Pepper, Sake, and Beetroot! 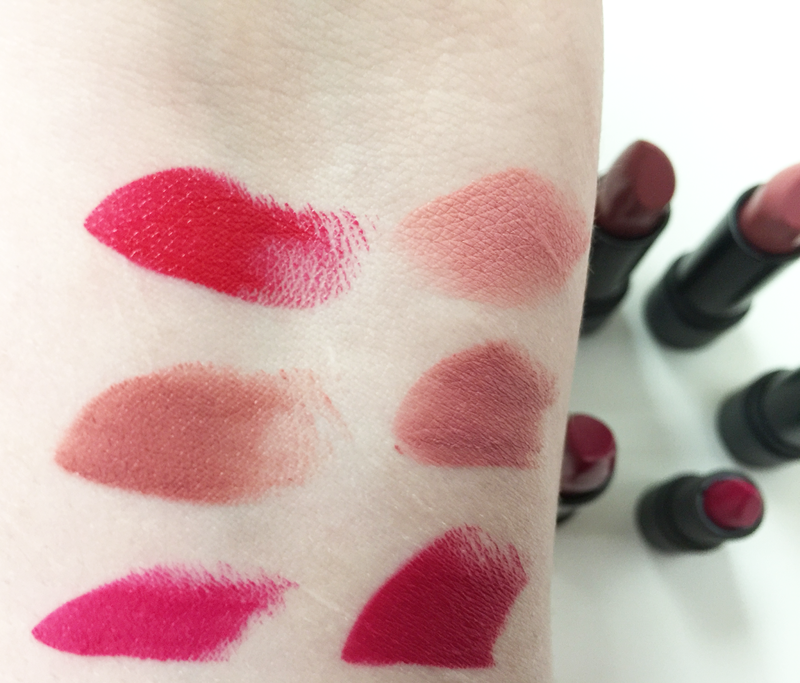 Do you own any lipsticks from Bite Beauty or specifically their Amuse Bouche line?